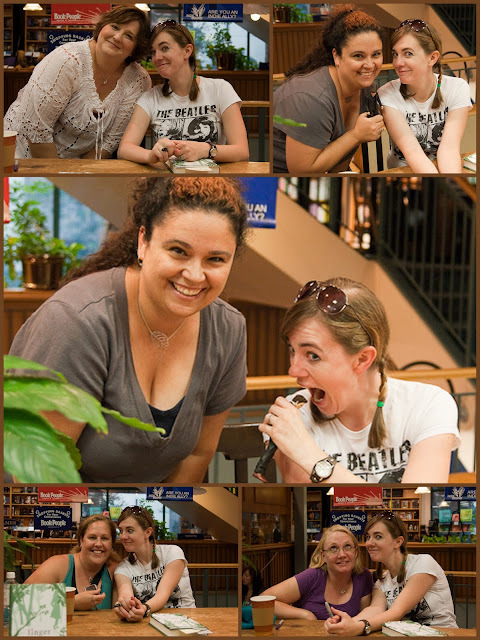 WE MET THE ONE AND ONLY MAGGIE STIEFVATER!!! Shannon and I were joined by our friends Jen and Christine. We arrived around 5:45 and grabbed a third row seat. I actually expected more people to show up. But we were lucky in that we didn’t have to wait in line so long and we got to chat a bit with the Magic Mrs S for a bit. She was great. She came out just a little past 7 and started talking and telling us some great stories. Telling us about her travels with Shiver, stupid cab drivers in CA, and a bit about little neurotic young Maggie. She even read from Linger for us. It’s awesome to hear an author read their own work. Then she gave us an opportunity to ask her some questions. We then got in line to wait for our opportunity to tell Maggie how much we love her and grab a pic or two with her. Maggie we love you and wish you all the best. We can not wait for Forever and the next chance to meet and chat with you again. 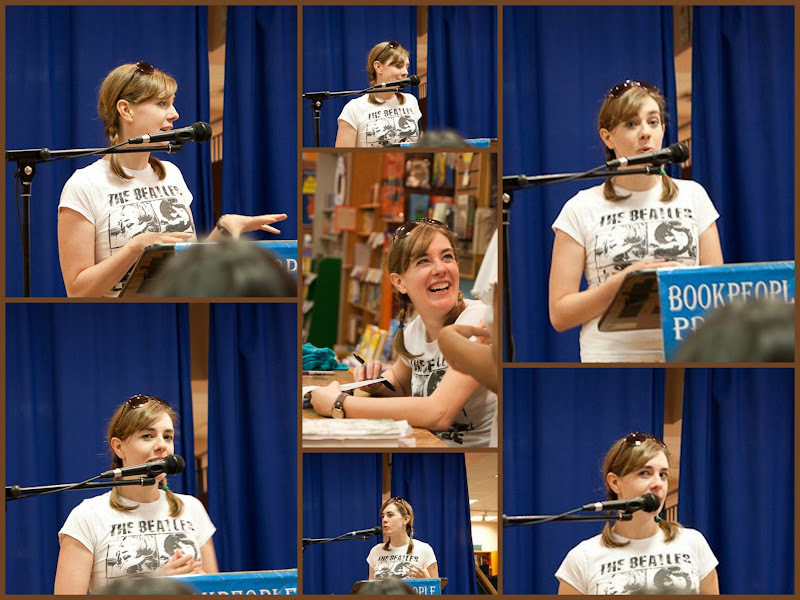 This entry was tagged Book Signing, Linger, Maggie Stiefvater, sam and grace, Shiver. Bookmark the permalink. Maggie was super cool and so much fun.